What Wine Should You Drink on Valentine’s Day? Rosé wine is super fashionable right now. It’s no longer about the syrupy sweet, not very good boxed wine that we think of when someone says “pink wine.” This isn’t White Zinfandel. However, if you love White Zin then please drink it! I always tell people to drink what they like, I’m just offering my suggestions. Valentine’s Day is the perfect time to break out a dry rosé for your before, during or after dinner drinking pleasure. 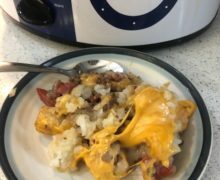 And I have a few suggestions I recently enjoyed. 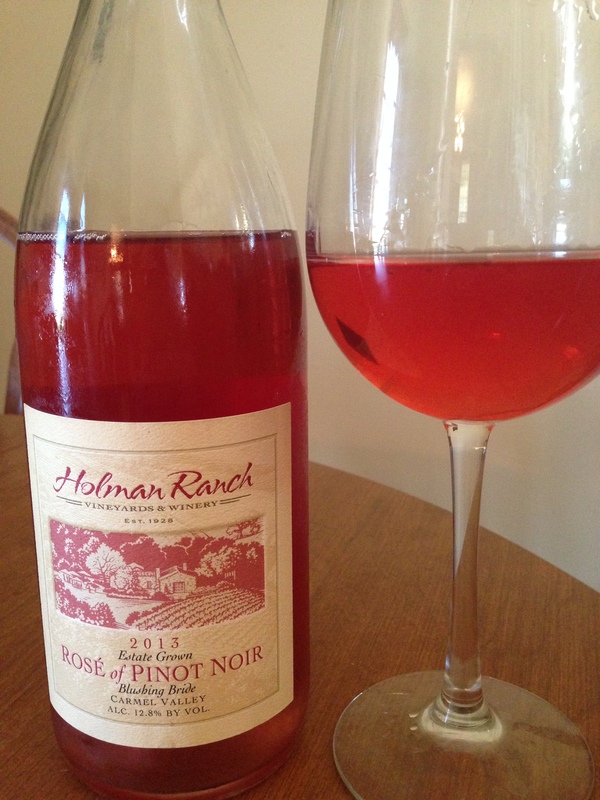 Holman Ranch is a California-based winery whose wine I truly enjoy! While I reviewed this wine a few years ago, if you can find a bottle of their rosé, I encourage you to buy it. They don’t have any of this in stock right now, but I bet this lovely wine will be available again this summer. And buy all of their wines. I’ve never had a bad wine from this great winery. Huber Orchard, Winery & Vineyards makes a fantastic dry rosé from grapes grown in Southern Indiana. Called Stella, this wine can be found in my glass anytime of year. This smells and tastes of raspberries, strawberries and black cherries. The color is outstanding! It’s a deep red, dry rosé. And it’s easy to drink a few glasses of this with dinner. It’s $18 a bottle, but if you buy a case, they’ll give you a discount. 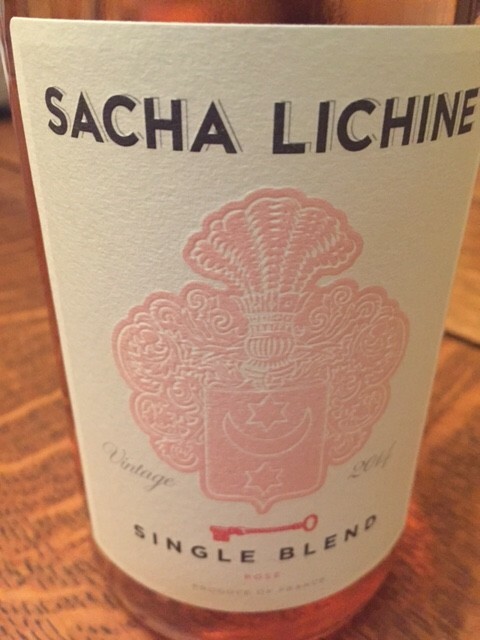 On the complete opposite in color scale is Sacha Lichine 2014 Dry Rosé. This wine is a blend of Cinsault, Grenache and Syrah grapes. The wine has a light pink color and smells like strawberries. This wine is dry and cost me $10 at my local grocery store. My last wine is another great buy, although I can’t recall where I purchased it! I know I spent less than $15 on the bottle. 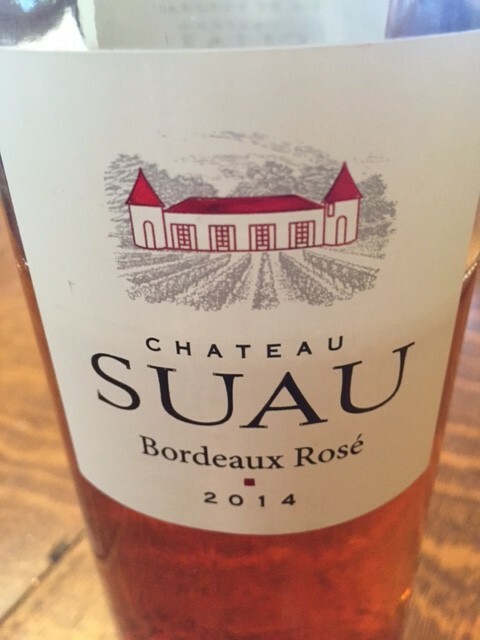 Chateau Suau Bordeaux Rosé smells and tastes like strawberries and raspberries. This is a lovely wine for the middle of summer, or with your date on Valentine’s! Dry rosé wines can be paired with a variety of cheeses and foods. While some cheeses pair better with a white or red wine, a wide variety of cheese can pair well with a dry rosé. 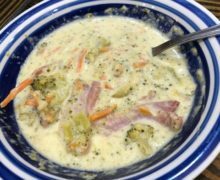 If you are planning a fancy Valentine’s Day dinner, make some lobster and serve with a dry rosé! Be sure the wine has a slight chill. I usually recommend to take it out of the fridge 20 minutes before you want to drink it. I rarely do that, but it does get the wine to the correct temperature. Whatever wine you enjoy for Valentine’s Day, I hope you give a rosé a try!